Is there a way to sync Jotform to Google apps? I'm not sure if I understand your query correctly. It is possible to send the form submissions to Google Drive by integrating Drive to your JotForm. Unfortunately, there is no direct way to integrate Google Calendar with JotForm. However, you may consider using Zapier integration to send the submissions to Google Calendar. I'm not sure how you want to display the submissions in Google Plus. 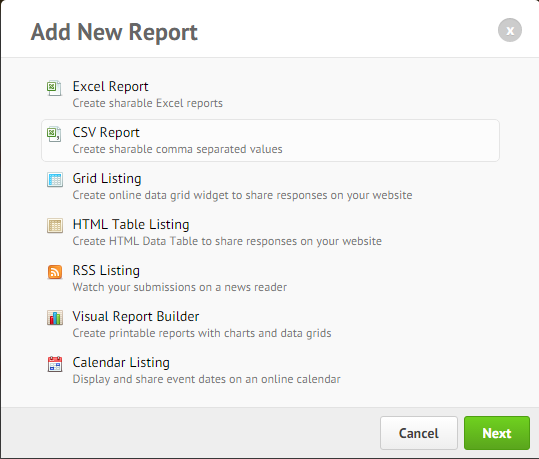 You may take a look at the reports from the reports section that can be generated for your JotForms that might help you in displaying the submissions. Hope this information helps! Please get back to us if you need any further assistance. We will be happy to assist.